Reviewing the current trends in analytical instrumentation, automated (on-line) sample preparation systems are in focus of many application fields. With CLAM-2000 (Clinical Laboratory Automated sample preparation Module), Shimadzu offers an instrument which perfectly meets the needs of pharmaceutical departments, medical departments or biological analysis laboratories dealing with issues of variability in analytical results or infection risk. 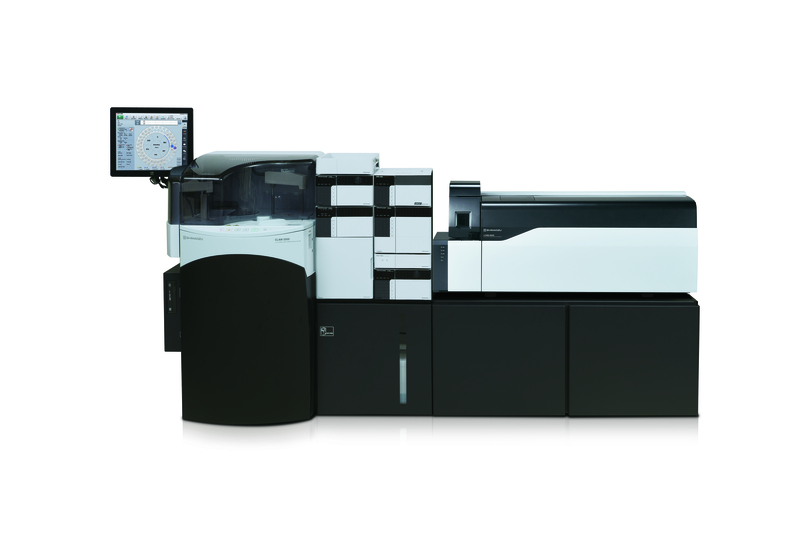 The unique CLAM-2000 automates the pretreatment of blood or other biological samples before LC-MS analysis. The background for this development is to minimize variabilities caused by sample pretreatment and manual work. In recent years, there has been considerable progress in the use of mass spectrometers (MS) in the clinical research field due to their highly sensitive detection and high specificity as well as the possibility of multiplexing analysis without the risk of cross reactions inherent to immuno-assays. Mass spectrometry enables direct detection of disease related biological compounds in blood, urine or other biological samples, measurement of trace concentration levels of drugs as well as other applications. However, the bottleneck is still sample preparation which is often tedious, involves risk of errors and increases the risk of contamination of people dealing with sample preparation. By simply placing blood collection tubes in the system, the CLAM-2000 performs all processes through to LCMS analysis automatically. Unlike dispensing systems based on batch processing 96-well plates, the CLAM-2000 is completely automatic from pretreatment to analysis and processes individual sample successively in parallel. Consequently, it results in uniform pretreatment times between samples without slowing processing speed, while improving data reproducibility and accuracy. Pretreatment processes available include dispensing samples, dispensing reagents, stirring, suction filtration, incubation and automatic transfer of sample vials to an SIL-30AC autosampler after pretreatment. CLAM-2000 automates the sample pretreatment for LC-MS analysis. All necessary steps are automatically executed according to an existing method or a method to be developed. It also features excellent management functions providing a dramatically improved workflow with better safety for clinical research and higher reproducibility. It is compatible with the LCMS TQ systems LCMS-8040, LCMS-8050 and LCMS-8060, giving a large choice to adapt to sensitivity needs. Not available in the USA, Canada and China.